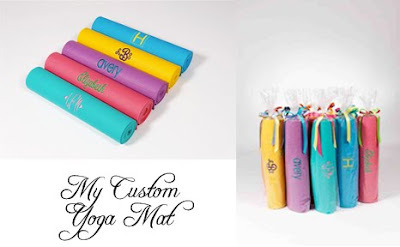 Simply Southern Girl: Monogramed Yoga mat fun!!! I recently came across the site, mycustomyogamat , as a friend forwarded my way, she knows I love all things monogram. 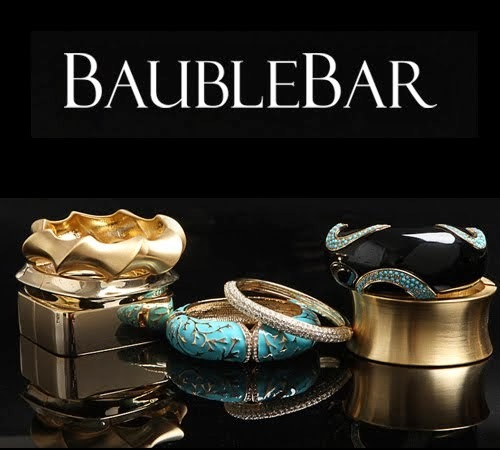 It is a great site. 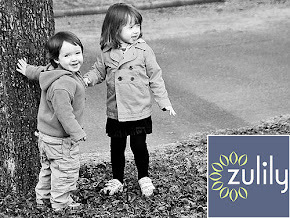 The mats are a reasonable $35.00 and will arrive to you in about 10 days. 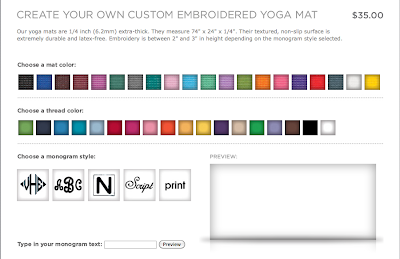 There are 20 yoga mat colors, 18 embroidery thread colors and 5 fonts- and you can preview your ideas, to see exactly what they look like! 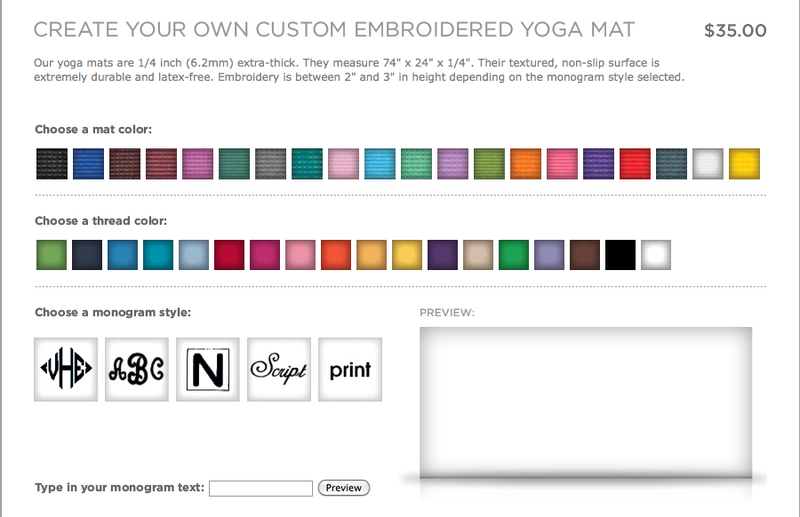 Marce and her friend Allison have created a site where you can customize your own yoga mat. Aside from the great monogram, thread color and mat color choices, the mats come adorably wrapped and you don't have to be a yogi to enjoy one! They are perfect for other forms of exercise, like sit-ups, push-ups, weight training, etc. So cute right. I mean I already have a basic pink yoga mat, that works just fine, but when it comes time to replace it, I totally have this site bookmarked!!! 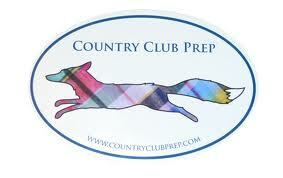 I am thinking I might switch to a teal mat, with black diamond monogram, yes that is it!!! I NEED a yoga mat so badly! I want one! Wow!! I never even thought to monogram my yoga mat! !